With over 30 years of experience in the banking and mortgage banking fields, Danny leads the sales team as the Executive Vice President/National Production Manager for Highlands Residential Mortgage. Danny is a proven veteran in mortgage banking. His career has primarily been centered on production but he also has a strong overall working knowledge of operations. As an Executive Member of our management team, his focus is recruiting Loan Officers and Production Managers across the country, with emphasis on professionalism, loan quality and business development. During his 11 year tenure at CTX Mortgage Company he served in such capacities as State, Regional and National Production Manager. Danny also recently served as EVP/National Production Manager at SWBC Mortgage Corporation where he was instrumental in building a strong production platform. Danny’s ability to recruit, train and lead our production unit has resulted in increased business and outstanding growth at Highlands. 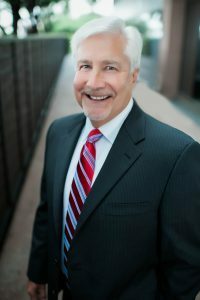 Danny is a past President of the Mortgage Bankers Association of the Carolinas and in 2005 was named Mortgage Banker of the Year for that organization.